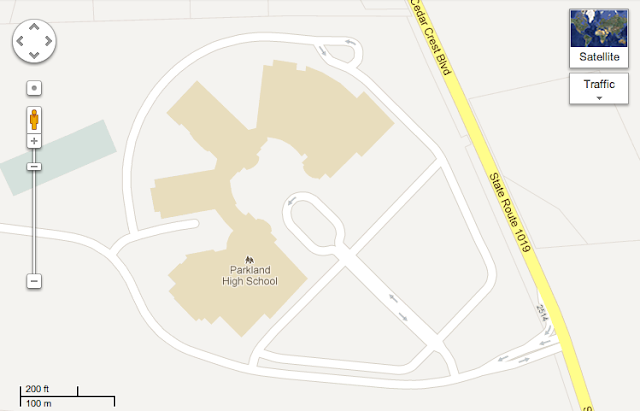 Does the layout of this school look familiar? It may not look like much, but... how about the satellite view? 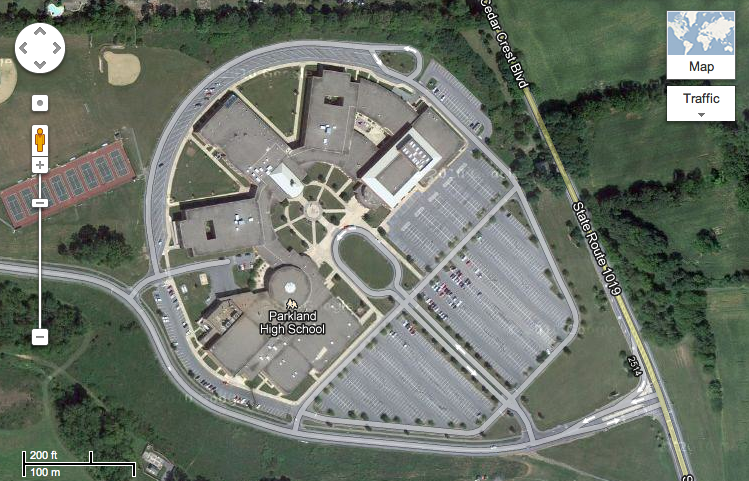 It's Millennium Falcon High School!!! Also known as Parkland High School... the school that made the Kessel Run in less than twelve parsecs.